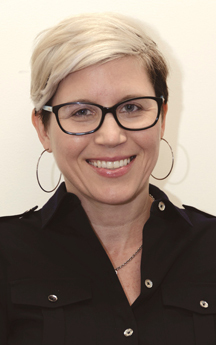 Robin Konrad is an Assistant Professor of Lawyering Skills. Prior to joining the faculty at Howard University School of Law, Professor Konrad served as the Director of Research and Special Projects with the Death Penalty Information Center (DPIC), a national non-profit organization providing analysis and information on issues concerning capital punishment. Before her time with DPIC, Professor Konrad spent more than a decade as an assistant federal public defender representing indigent death-row prisoners in Alabama, Arizona, Oklahoma, and Utah, and on the federal death row. In addition to challenging the constitutionality of condemned prisoners' convictions and sentences, Professor Konrad litigated civil-rights claims related to state methods of execution. As an appellate advocate, she has argued before three-judge and en banc panels in the U.S. Court of Appeals for the Ninth Circuit, and before the United States Supreme Court on behalf of the petitioners in Glossip v. Gross, 576 U.S. ___ (2015). Professor Konrad has also taught in capital training programs throughout the country, and she co-taught the Civil Rights Clinic at Howard University School of Law in Spring 2017. Professor Konrad graduated with honors from Boston University, earning a B.A. in English, and graduated as valedictorian from Howard University School of Law, where she was co-founder of the Howard law chapter of the ACLU and editor-in-chief of the Howard Law Journal. She is also a former law clerk to the Honorable Damon J. Keith of the United States Court of Appeals for the Sixth Circuit.